Every year Thailand becomes increasingly more popular as a holiday destination and welcomes several million guests. Many of the visitors are so impressed by their holidays in Thailand that they keep coming back. This also happened with us in 2012 and we are coming back to Thailand ever since. Meanwhile, we even live most of the time in Thailand and have our home base here. The mix between beaches, food or culture on a Thailand holiday is just great and you can already gain many new impressions on a 2 weeks holiday in Thailand. The different places in Thailand are very diverse and when booking a Thailand holiday this can be a bit overwhelming. In this article we will show you the 7 most popular holiday destinations in Thailand to give you a small overview and maybe even help you finding the right place for your first Thailand holiday. The capital of Thailand, Bangkok, is for most visitors the first point of contact to Thailand. The major city is extremely diverse, but indeed overwhelming the first time for some visitors. 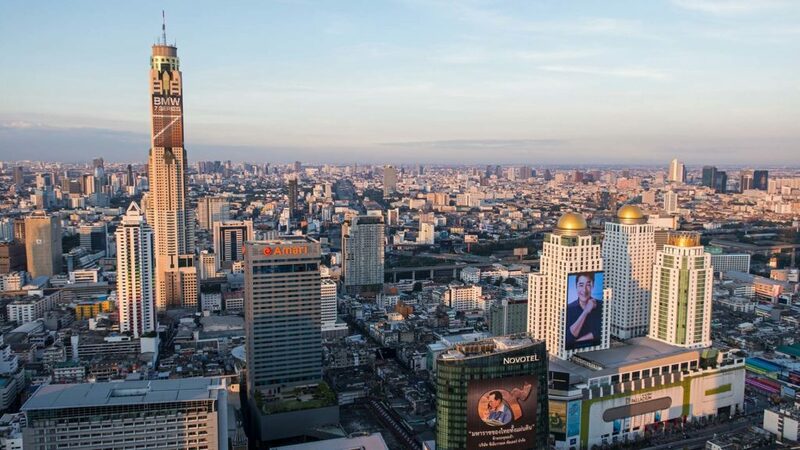 While on one hand, you can spot countless temples like Wat Arun, Wat Saket, Wat Pho or the Wat Phra Kaeo with the Royal Palace in the capital, on the other hand there is the modern Bangkok with its many skyscrapers, terrific sky bars and colorful hip markets. Explore Bangkok on the Chao Phraya River by boat, walk amongst the skyscrapers of Sukhumvit or relax in the Lumphini Park, the city’s green lung. A short stop for 2-3 days is what most of the people do in Bangkok. Of course, this is not enough time to explore the whole city, but it will give you surely a nice first impression. More articles about sky bars, the nightlife, temples, tours and excursions as well as many other tips for your Thailand holiday can be found in our Bangkok category. 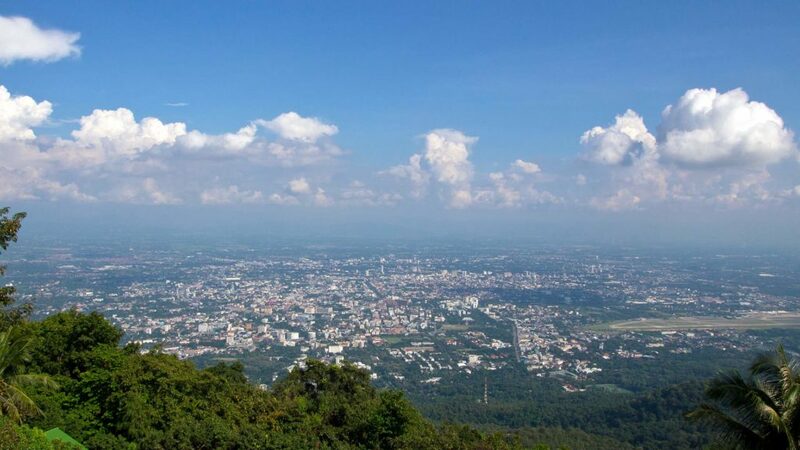 The city of Chiang Mai is located in the north of the country and is one of the most popular destinations in Thailand. If you are looking for culture and especially temples, then Chiang Mai is the right place to be for you. 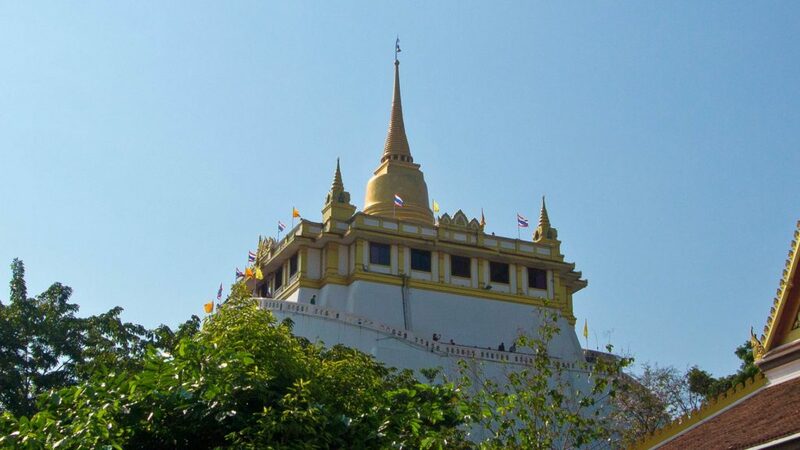 In addition to the temples in Chiang Mai, you can explore or be active in many other spots in the Chiang Mai area, e.g. trekking in the jungle. These also include hot springs, waterfalls, festivals or markets. Especially beautiful is the Old Town, which spreads a unique atmosphere, surrounded by a moat and partially old city walls. The best way to explore Chiang Mai is on your own, by walking around the Old Town or on a scooter inside and outside the city. If that’s not your case and you’re not feeling safe on a scooter with a license, there are plenty of tours in Chiang Mai that are well-organized and give you a great impression of the city and surroundings. 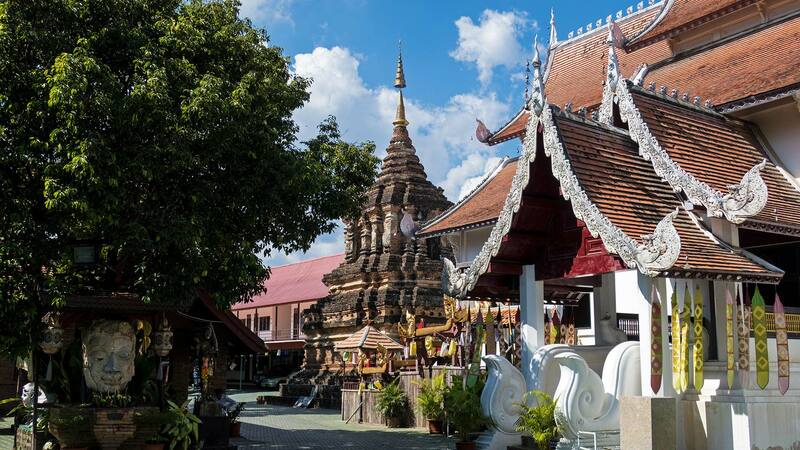 More articles about Chiang Mai and tourist attractions in the surrounding area can be found in our Chiang Mai category. 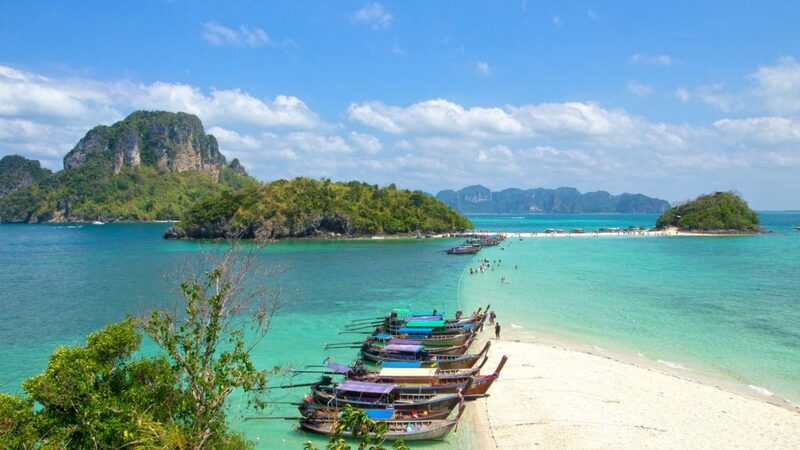 The Krabi region is one of the most beautiful areas in southern Thailand. You’ve probably seen it on pictures or in movies already. The huge limestone cliffs, the gorgeous turquoise sea and the countless islands off the coast reflect the diversity and beauty of Krabi. While Krabi Town is usually only visited for a stopover to continue to Koh Phi Phi or Koh Lanta, the main beach town of Ao Nang attracts many visitors. It’s a real holiday resort in Thailand! There are many restaurants, bars, markets on the streets and of course a lot of great beaches to visit. 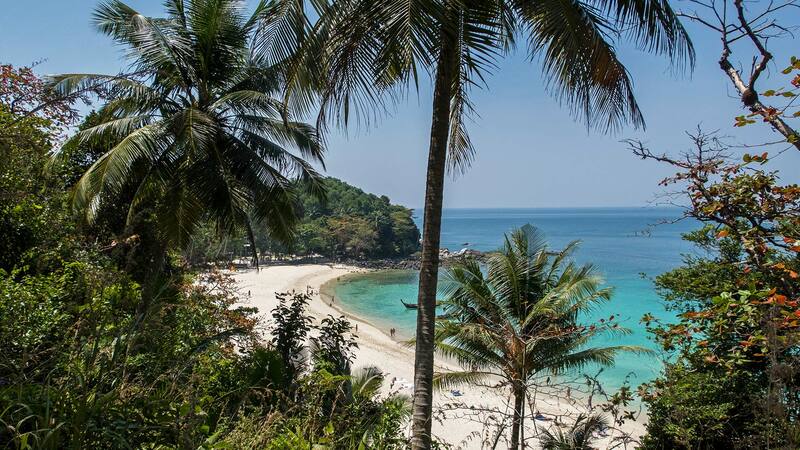 Furthermore, Ao Nang is a great place to visit the islands off the coast on a tour. You can do this with organized tours or simply buy a ticket at Ao Nang Beach and take a longtail boat to Koh Poda or some other islands. 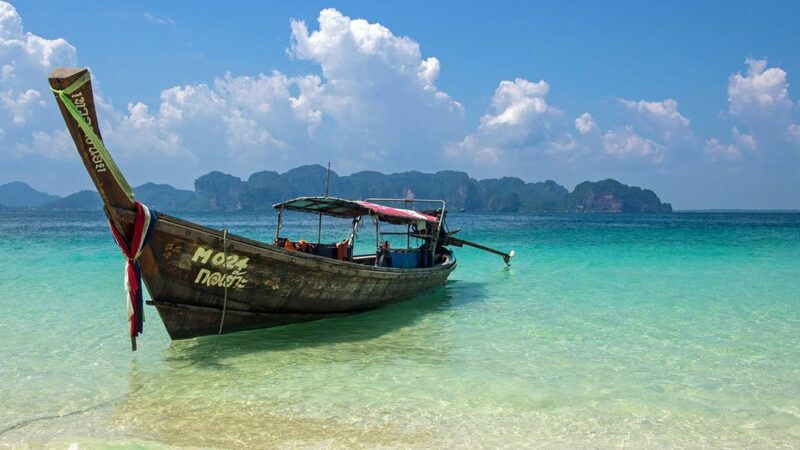 Also, the popular Railay or Tonsai Beach are only a short boat ride away. All articles about Ao Nang and the entire region can be found in our Krabi category. Phuket is Thailand’s largest island and an attractive holiday destination. The island offers everything your heart desires. Beautiful beaches, great viewpoints, temples, nightlife and countless possible excursions. Phuket is absolutely diverse. During a holiday in Phuket, you can stay right in the epicenter of the island, around the bays of Patong, Karon or Kata. There you will find the most offers on entertainment, nightlife or restaurants. However, it’s also extremely touristy and lively. On the other hand, it’s a bit quieter in the towns of Rawai or Chalong, if that suits you better. We personally would always choose the quieter option. 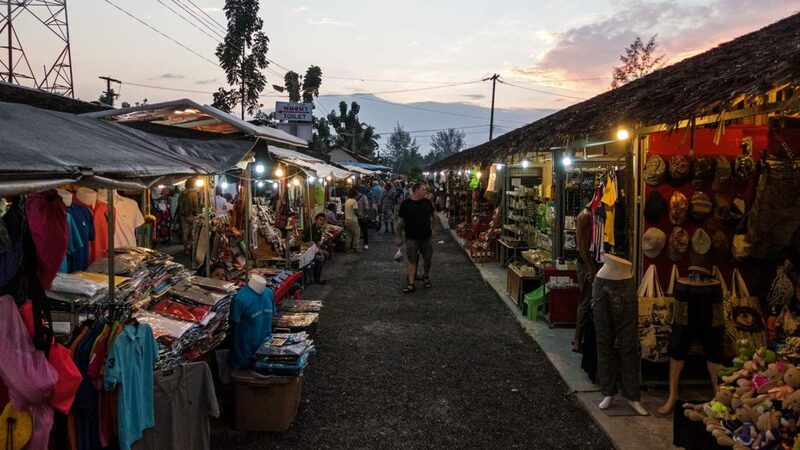 Also, Phuket Town has a lot to offer with its old and sometimes very colorful town houses, the weekly Sunday night market and the Khao Rang Hill. Furthermore, you can also use Phuket as a base to visit the surrounding paradise islands such as Koh Yao Yai, Kon Bon, etc. or take a boat to Koh Phi Phi. More information about Phuket and the surrounding areas can be found in our articles in the Phuket category. 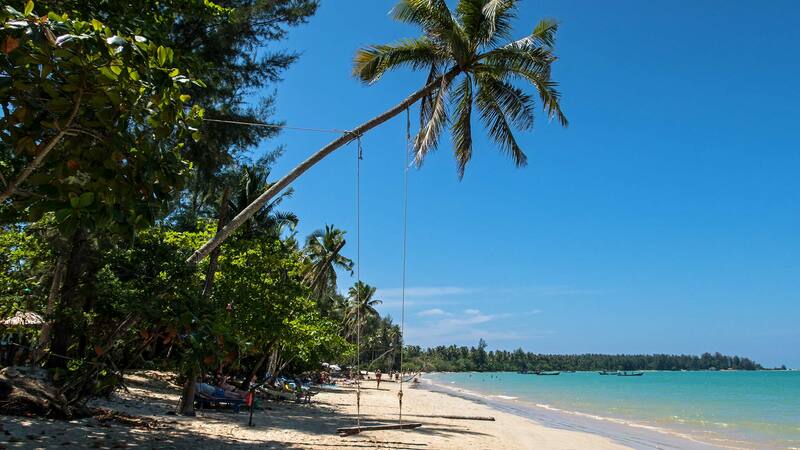 Khao Lak is perfect for a first Thailand beach holiday for beginners. 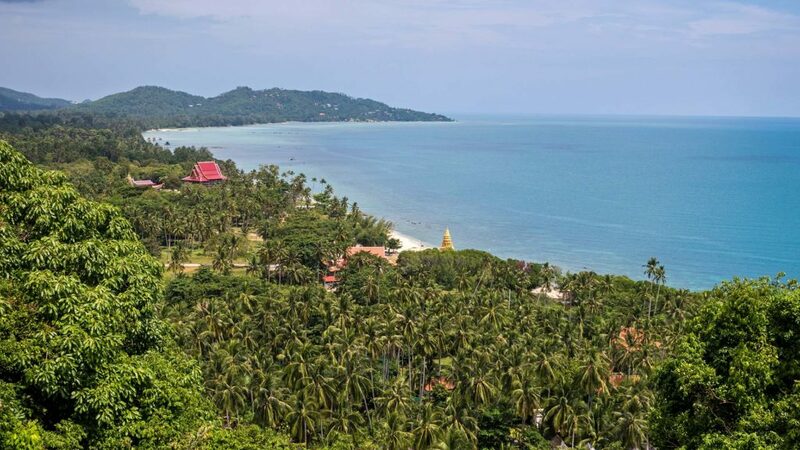 However, the name could be a bit confusing, because Khao Lak is not meant to be the small village that has the same name, but a whole region that stretches for several kilometers along the west coast of Thailand. The two most visited places of the Khao Lak region are Bang La On and Bang Niang. Here you will find many restaurants, the Nang Thong and Bang Niang Beach as well as banks, massages and lots of shopping options. North of these two towns, however, you will find the more beautiful beaches like Pakweep Beach, Khuk Khak Beach or Coconut Beach. You can reach them easily with a shared taxi or on your own with a scooter. But that’s not all Khao Lak offers. There are waterfalls, viewpoints or even the popular tours to the Similan Islands or Surin Islands off the coast of Khao Lak. Also many guests like to take a day trip to the Khao Sok National Park, which is located between Khao Lak and Surat Thani. In our opinion, Khao Sok is one of the most beautiful areas in southern Thailand and you should definitely visit the national park. After Phuket and Koh Chang, Koh Samui is the third largest island in Thailand. It’s located southeast in the Gulf of Thailand and has been a popular holiday destination for decades. The tropical island shows a great deal of variety and offers a whole range of activities and tours. We are always happy to come back to Koh Samui, even if we know the island very well. Discover beautiful beaches away from the tourist masses of Chaweng or Lamai. 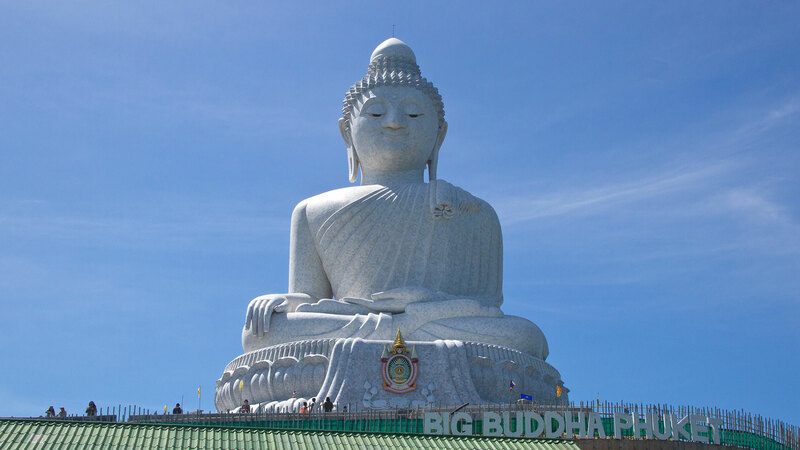 Visit the landmarks of Koh Samui such as the Big Buddha or the Grandmother and Grandfather Rock, see the island from above at the Jungle Club, stroll around the many markets or just relax with a Thai massage. There’s a lot to do on your holidays and it will never be boring on Koh Samui for sure. In addition, the surrounding islands such as Koh Madsum, Koh Phangan, Koh Tao and many more are popular day trips from Koh Samui. There is certainly the right thing to do for you, if you are looking for a nice beach holiday. 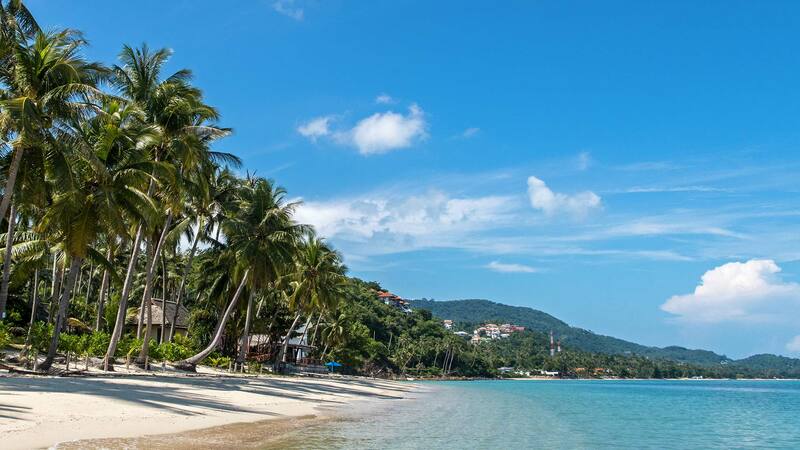 You can find many more information about the popular holiday island in our Koh Samui category. Even though Pattaya doesn’t have such a good reputation, it’s still a popular destination for a holiday in Thailand. There are many people who appreciate the great offer in Pattaya, because apart from the red light districts and nightlife, the city and its surroundings have a lot to offer. A day trip to Koh Larn is a great alternative to the not so nice beaches of Pattaya. 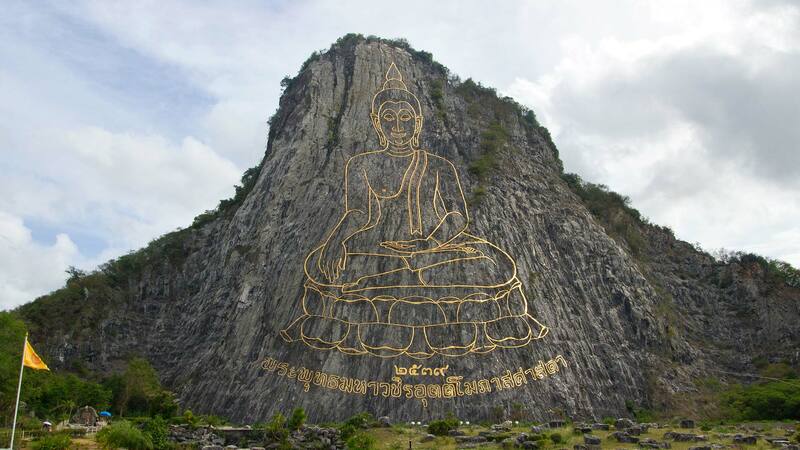 Also, exploring the surrounding areas like the Buddha Mountain, Sanctuary of Truth, the Nong Nooch Botanical Garden or the Wat Yansangwararam paints a very different picture of Pattaya. The offer on food is huge in Pattaya and mostly cheaper than in other holiday resorts in Thailand. This really surprised us in a positive way. Pattaya definitely has more on its plate than just the red light district, you only have to take a look behind the familiar facade. In addition, Jomtien, which is located just south of Pattaya, is a good and quiet alternative for a beach holiday in Thailand. 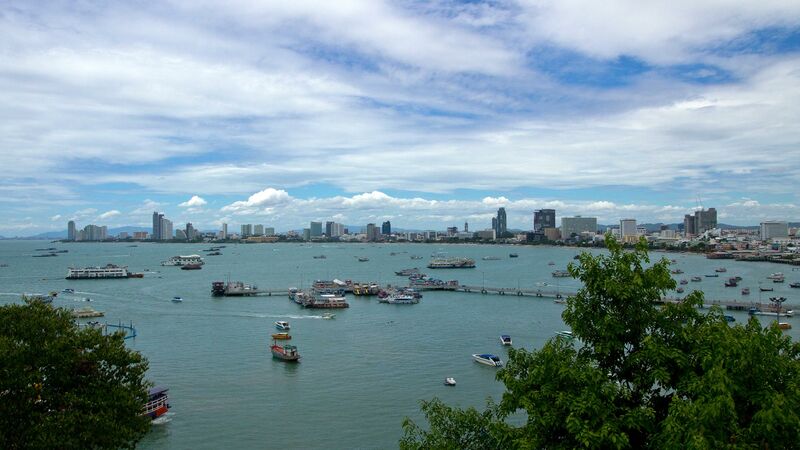 Find out more about things to do in our Pattaya category. Of course, there are many more places in Thailand, where you can enjoy great holidays and make some memories. This is just an overview for Thailand beginners, as most of these places are easy to reach without much prior knowledge. There are e.g. a number of other beautiful islands that are much more unknown and secluded. But for a first visit to Thailand they are often out of the question, since the journey is more difficult or only possible on your own. Check out more about the country in our Thailand category, where you will find countless of other destinations away from the tourist hotspots. What is your favorite vacation spot in Thailand? Which places have you visited? Give us your feedback in the comments.